Is Media Becoming Device Dependent? Big device makers will come up with even more tools that allow people to access content in more appealing ways. 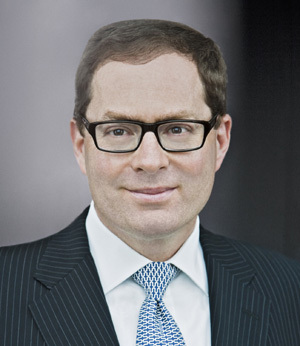 Not long ago, I heard Hearst Corp. Magazine Chief Executive David Carey relay a remarkable development: Since the debut of the iPad Mini, paid electronic subscriptions for Hearst magazines had skyrocketed. When he said this in February, at the Dive Into Media conference, the iPad Mini wasn’t even three months old. Though the Mini is now outselling the original iPad, the 7-inch version still makes up a small percentage of the total number of tablets out there. And yet, it’s driving an outsized percentage of Hearst’s paid subscriptions. Digital subscriptions had been just shy of 800,000 at the end of 2012, but by February they were at 900,000. Last month, with the help of the Mini, they surged past 1 million, helping Carey achieve what had been an elusive goal. "The publishing business, the news business and the content business in general all have a device problem -- a big one. They are overly dependent on devices for delivery of content. And they have no control over that side of the equation." Why was the Mini such a digital subscription juggernaut? It’s a women’s product, “something you can put in your purse,” Carey said. That makes it the ideal device for connecting with Hearst titles such as Cosmopolitan, Good Housekeeping and Marie Claire. This was great news, I thought. A simple design change, shrinking the 10-inch screen, had unlocked a large and growing source of digital revenue. Maybe all the publishing business really needed was the right device to reconnect the reader with the content in the right way. Of course, that’s wishful thinking. In fact, the publishing business, the news business and the content business in general all have a device problem — a big one. They are overly dependent on devices for delivery of content. And they have no control over that side of the equation. Recently, we’ve seen the upside. 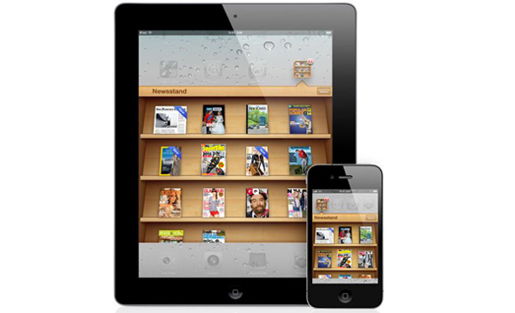 The iPad, in particular, created an entirely new business model for publishing. It allowed for deeper engagement and easier access to long-form content. Newspapers and other publishers finally found in the tablet the opportunity to introduce the paid-for app. While it has been energizing to see the new revenue opportunities emerge from these devices, it’s sobering to look at the costs they’ve saddled publishers with. Each new device brings with it an obligation to tailor content for it. “While we love the different screen sizes for consumers, as publishers, there is enormous complexity in terms of adapting our product,” Carey said. And the really scary part is how quickly these devices emerge. The original iPad is not yet 4 years old. The iPad Mini has barely crossed the six-month mark. How long will the life cycle of the tablet turn out to be? And what comes next? Google Glass is about to have its broad rollout. Samsung is doubling down on product innovation. It’s a safe assumption that big device makers will come up with even more tools that improve the consumer experience and allow people to access content in more appealing ways. Will publishers have to retool their product for each new device? Retooling isn’t just about changing technology. It’s also about changing how content is produced. Each new device brings with it new affordances. Content needs to be tweaked, re-engineered, or, in the case of the iPad, completely reconceived in order to optimize the experience. That’s an expensive proposition. News Corp.’s The Daily was an ill-fated attempt to design a newspaper product specifically for the iPad. Apple engineers worked with News Corp. executives to ensure that the initial product took full advantage of what the iPad had to offer — bold photo displays, embedded video, etc. The project closed in less than two years, after having burned through a good chunk of its initial $30 million investment. Chris Wilkes, vice president for audience development and digital editions at Hearst, warns that publishers can easily spend too heavily just trying to keep up. “If you’re not careful, that alone can sink you,” he said in an interview. But he also believes that a lot of that money could be spent more wisely if device makers and publishers could agree on some common approaches. “We spend a lot of time trying to get everyone rowing in the right direction in terms of open standards,” he said. 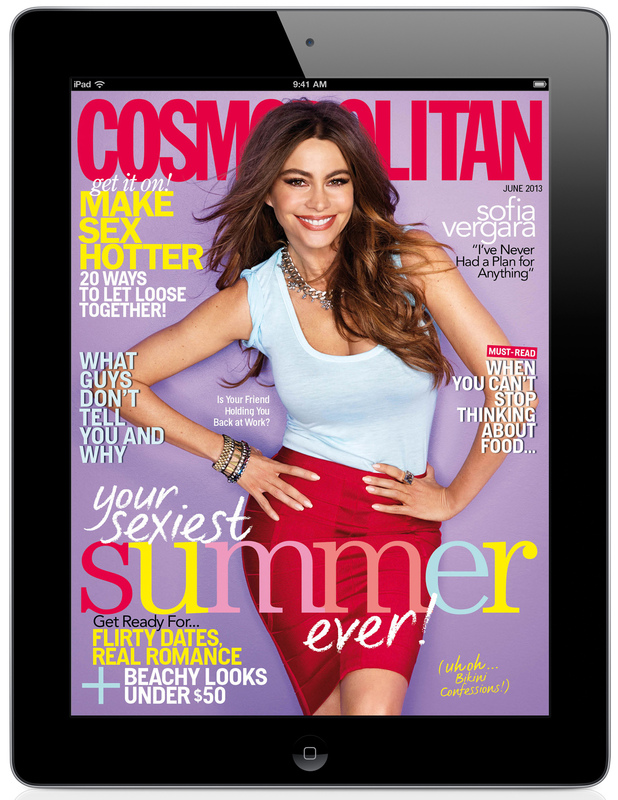 Hearst worked to ensure that a single digital edition of a magazine could appear on different devices with various aspect ratios. Nikesh Arora, Google’s chief business officer, also speaking at the Dive Into Media conference, said he believes we’re heading toward a situation where the device you use will mean less and less. “In the past many years, you’ve had specific experiences around specific screens,” he said. In the future, he thinks we will be more likely to have a uniform user experience, no matter the device. But history suggests the opposite is more likely. New formats drive new business models. The modern-day paperback, created by Penguin founder Allen Lane in 1935, revolutionized book publishing by making serious literature accessible to a wider audience. The lower price point was key (the first volumes cost as much as 10 cigarettes) because it allowed the books to be sold in Woolworth’s and in train station kiosks. But, like the iPad Mini, the size made the difference. Paperbacks were designed to fit in the jacket pockets of soldiers in World War II. Penguin also created a children’s line, Puffin Picture Books, with volumes small enough that kids who were being evacuated could bring them along to temporary shelters. In fact, for journalism, the technological platform has usually led and the profession has followed. Radio required pioneers like Norman Corwin and Edward R. Murrow to invent the genre of radio news storytelling. A similar evolution took place with television news. With TV and radio, however, the technological platform was protected by a tight regulatory framework (government-issued broadcast licenses) that limited competition and slowed innovation. That might have been bad for the consumer, but it was great for the news business. The big differences today are the speed of change and the investment required on the news side to keep up. Anyone who has labored at a newspaper over the past decade knows that most newsrooms are still struggling to balance the 24-hour nature of the web with the process-heavy workflow of producing a daily print product. Reporters spend most of their time trying to meet a 4 p.m. print copy deadline, instead of producing fluid stories for web readers. Only a handful of news organizations try to produce news that fits well into the 4-inch screen of a mobile phone, even though most data indicates that’s where the majority of news consumption will take place. As the speed with which new devices enter the market increases, the big risk is that many publishers could slip further behind. Gabriel Kahn is a professor at USC Annenberg School of Journalism. He co-directs the Media, Economics and Entrepreneurship program and writes often about media business models. Fluid, real time adaptability of publisher content and experience will be key to ensuring consumers have a great experience while controlling publisher costs. This process must occur dynamically and be device sensitive. Innovation across the device spectrum will, however, continue to challenge content providers. How in the world could the scheme you suggest be accomplished? First, I believe a limited number of phone and tablet sizes will emerge as the de-facto “standard”. While I think a wide variety of sizes will be available, I think a handful of sizes will drive 90%+ of market-share. The current lack of dominant market-leaders in terms of size is simply a reflection of an immature market. Give it another few years and consumers preferences will be clear. Second, I believe content-providers and device-makers will strengthen partnerships in a win-win relationship. Publishers need cooperative device-makers in order to sell their content. Device-makers need profitable content-providers to drive their device sales. It makes sense for them to work together…..perhaps even branded devices such as the “Apple – Time Warner iPad”. These partnerships will also serve to reinforce the move towards standard sized devices. It seems inevitable that consumers will use hand-held devices as their primary means of consuming content, especially text-rich content. So, publishers WILL be in the digital mobile world..it’s just a question of how they make it work. The beginning of the story highlighted the advantageous results for Hearst because of the advent of the iPad mini. Why did you illustrate the beginning of the story with a picture of an iPad and not a picture of an iPad mini? In this Era, everyone is busy within their own world. There is no time for anything else other than work or office so called. Everyone likes easy life, that makes way to the media as well. As food went fast food and shopping clothes to grocery went online, Media was more essential to go online or to digital world. And to reach further, went on to the handheld devices. While I see many complex features and apps arising out of devices like the Android and iPhone, I can’t help but think that the iPhone’s generally sleek design and overall trend-setting from the get-go have been a foreshadowing of the direction digital content is headed in. Referring to previews of the upcoming iSO 7, with “flattened”, striped-down graphics, and even reconstructed stock apps that will supposedly mimmic this refined functionality, I would say digital content is truly starting to match the simultaneous power and simplicity of the “hosting” technology that’s been created in the last several years. The power dimension refers to the vast amount of features, and the immense performance capacity of items like the iPad and iPhone all contain now. The simplicity aspect has to do with the ease of use, and in many cases the fact that this ease translates to devices small size, their ergonomics, and limited buttons, or their “basic”, yet sophisticated, means of navigation. You pointed out how the iPad and women’s magazines have worked cohesively, and I would say that these two elements (power and simplicity) have so much to do with where digital media is going now. For instance, the success of the iPad Mini had much to do with the fact that it was easy to use, easy to stow/tote, and then packed with plenty of entertaining features within. If more app designers and magazine publishers begin to consider the benefits of relating to this simplistic yet “meaty” approach to content delivery by making content thoughtful yet not negatively overwhelming, the profile of our content will match the profile of our devices. In the end this will make for a more enjoyable, enriching, and easy user experience!